Last month was the hottest May in terms of global surface temperature in a historical record that extends back 130 years, according to NASA, and with an El Niño forecast for the end of the year, we could see more records fall. But there are some more hopeful signs about the longer term. 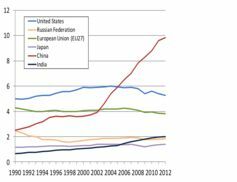 CO2 emissions fell by about 12 per cent in both USA and EU between 2007 and 2012, for reasons including the global recession, rising gas use and a shift to renewable energy sources. President Obama’s recent announcement of pollution controls on coal-fired power generation is also an important step. But by far the most important may well be the accelerated changes in energy structure — from coal and oil to renewable, nuclear and natural gas — that China is seeking to bring about, in response to really serious levels of air pollution in most of China’s cities. I and other colleagues recently discussed the issue in an article in Nature Climate Change. China has long had severe air pollution, but during 2013 it escalated to a major economic and social issue across the country. In January 2013 thick smog blanketed Beijing and northern China, covering 2.7 million square kilometres and affecting more than 600 million people. While varying with weather and other factors, air pollution remained high in many parts of China through 2013. Many cities, including Beijing and Shanghai, experienced a return of heavy air pollution in January and February 2014. You can keep track of pollution levels in China’s cities in real time here. 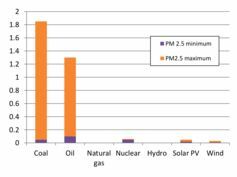 The central concern is with fine particles less than 2.5 micrometers in diameter (PM2.5). These pose the greatest health risks, lodging deeply into the lungs and leading to increased risk of pulmonary and cardiovascular disease and cancer. PM2.5 levels are measured in micrograms per cubic metre. The World Health Organisation guideline for the maximum safe level is 25 micrograms per cubic meter for a 24 hour period and 10 micrograms per cubic meter averaged over a year. Readings in excess of 500 micrograms per cubic meter, twenty times the recommended WHO 24-hour level, have become common in many Chinese cities in periods of heavy pollution, with higher spikes on some days. According to official data, average PM2.5 levels for 2013 were more than five times the WHO annual maximum level in 58 Chinese cities. On many days in many Chinese cities, PM2.5 levels reach or exceed those in Morwell in Victoria in the height of the bushfires in February 2014. While this pollution is very serious in itself, the reason that it matters for the climate is the strong overlap between the sources of PM2.5 emissions and greenhouse gas emissions. 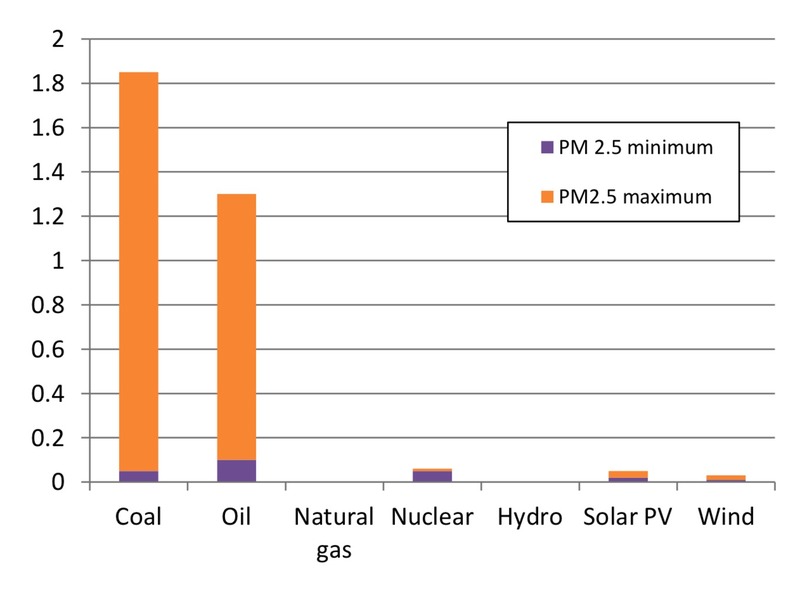 The main sources of PM2.5 emissions are coal and oil, which are also the dominant source of greenhouse gas emissions. 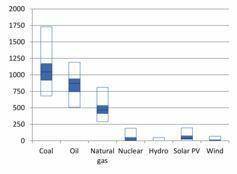 Natural gas is clean from the PM2.5 point of view, but remains a fossil fuel source with emissions on average half that of coal use. To that end the Chinese government is targeting a reduction in the coal share of energy use, which was 70.4 per cent in 2009, to 60 per cent by 2020 and to below 50 per cent by 2030, through policies that shift energy away from coal and oil to renewables, nuclear and gas. China has internationally promised to reduce emissions per unit of GDP by 40 to 45 per cent of 2005 levels by 2020 — but this really just means a continuing increase in absolute emissions. While it is increasingly likely that China will adopt an absolute cap on emissions, China’s air pollution policies already go much further than its international commitment. This is not just another promise by one country to other countries to achieve a given target. It is an internal imperative for China, driven by the demands of the people for clean air to breathe, and not by any external target. If the government does not achieve substantial progress in terms of cleaner air it will answer to China’s people, not to some international climate body. Some of these policies are already happening on the ground. China has closed coal-fired power stations in favour of gas, and small, dirty coal mines; signed a massive new gas contract with Russia; and rapidly expanded of wind, nuclear and solar energy. In May 2014 China’s central economic oversight body, the National Development and Reform Commission, announced even more ambitious targets for gas and renewables. There are some signs in the recent data that progress is being made. In the first five months of 2014, power generation from hydro grew by 14.1 per cent, from nuclear by 17.5 per cent and from wind by 14 per cent, while that from coal and gas grew by 5.4 per cent. 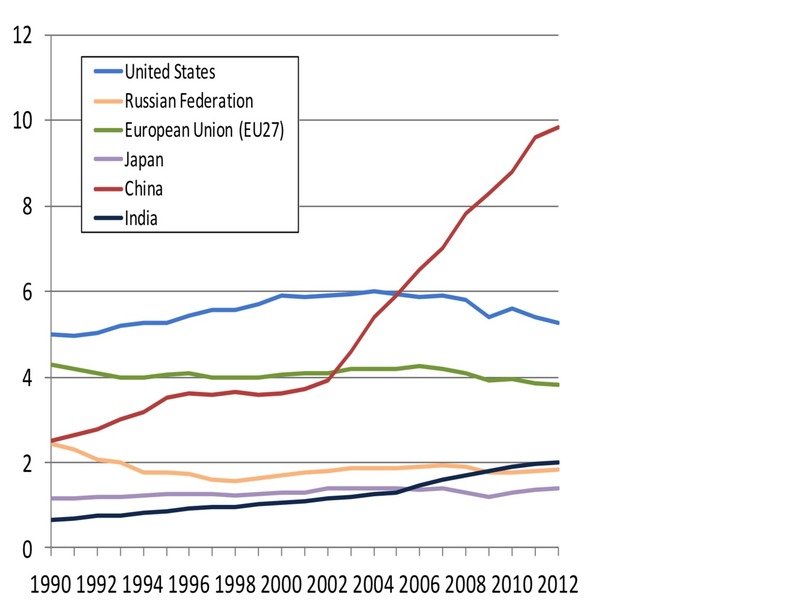 But China has many competing priorities and faces many other challenges. Powerful vested interests — such as private and state-owned enterprises in coal and oil producing and using industries and provinces — which support coal and oil. Many difficult adjustments are also taking place in China’s industrial, property and finance sectors. While the Government is determined on the path of change, what it will actually be able to achieve, over what time frame, remains to be seen. A gradual process to halt the rise in China’s emissions by 2030 will alone add over 10 per cent to the already high global level of greenhouse emissions from energy use in 2012. But a more abrupt process of change, perhaps leading China’s greenhouse gas emissions to peak about 2020 and then fall significantly, would be a massive boost to our chances of holding global warming to less than 2°C. Peter Sheehan is research director at the Centre for Strategic Economic Studies at Victoria University. This post originally appeared in The Conversation.